Three Santa Cruz attorneys are not waiting for other people to do something about global warming. 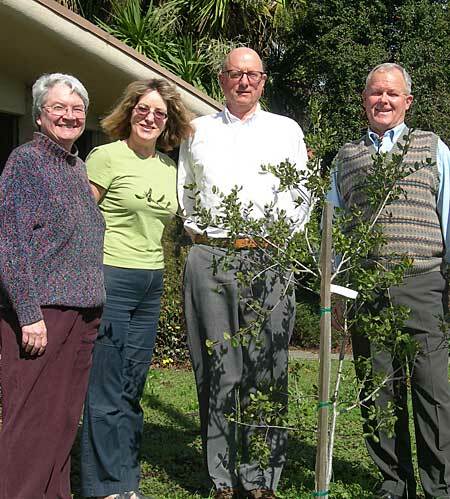 Law partners Nick Wyckoff, Marsha Shanle, and Jack Ritchey have planted a young oak tree in front of their building on Water Street in Santa Cruz. The native Coast Live Oak will need no summer water once it is established. “It’s the perfect choice for us, because we are lousy gardeners,” quipped Nick Wyckoff, who is also a Sierra Club outings leader. As the tree grows it will beautify the street and sequester carbon for generations to come.